With their integrated photovoltaic generator and extraordinary design, recently presented energy generating glass bricks could soon transform external facades into sustainable power stations. Different glass colors are possible for an individual facade. 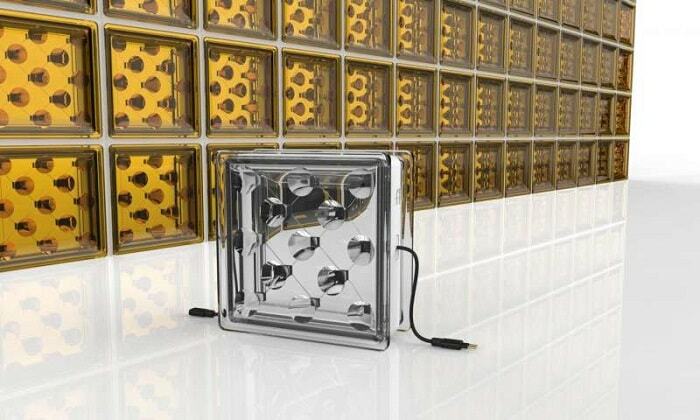 Energy researchers from the University of Exeter in Exeter, Devon, South West England, proudly presented their pioneering new glass bricks, called Solar Squared. They are looking forward to a broad market introduction. As a further possible component of Green Buildings, the generated electricity can be used for the buildings occupants’ own energy demands. 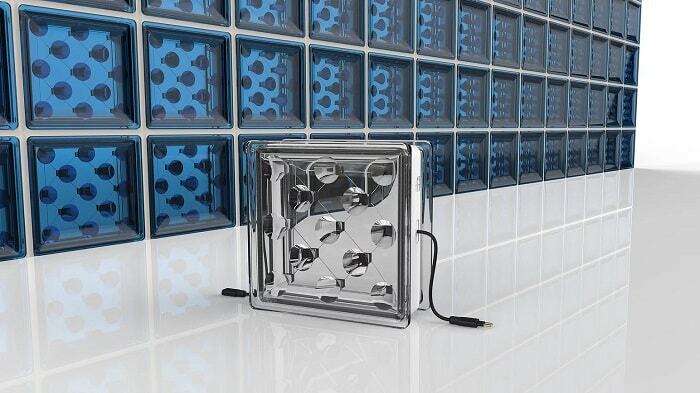 energy generating glass bricks let some light get through to slightly illuminate the interior of the building. Unfortunately, the intensity of solar radiation can’t be regulated so easy as with common window glass and external sun protection or, even better, electrochromic smart glass. Everything at once, high customizable shading and generating clean electricity, seems not to be possible. 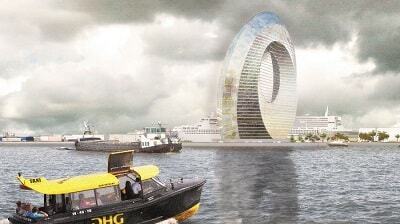 Or maybe with external photovoltaic blinds? However, they exist a few years but they are far from being a serious breakthrough. “It’s now clear that the world is moving to a distributed energy system, of which a growing proportion is renewable. This, coupled with the shift to electric vehicles means that there are substantial opportunities for new ways of generating electricity at the point of use” said Jim Williams, Co-inventor and Exeter’s research commercialization manager in Cornwall. With the start-up company Build Solar, the Exeter team aims to bring the energy generating glass brick to the market in 2018. At the moment, they are looking for investments to carry out commercial tests. The product is aligned to provide three different things, including electricity, day lighting, and thermal insulation and as I understand it, it’s generally required by any kind of construction product. More importantly , in my opinion, it is aesthetic in its look, so it fits in very well within the building architecture in my home. I recommend this personally.. But as they say, to each his own.